Diving watches are rugged, classic, and wearable in any situation. However, most people limit their search to conservative, icon brands, such as Rolex, Omega or Panerai, and miss the point. A good watch contrasts and adds texture to a person's style. For high school graduation, my family gave me the watch of my choice. After much deliberation, I picked a Rolex Submariner Date for boring yet rational reasons. Few watches can stay relevant, hold their value as well, or last as long as a Submariner. As denoted in the title of this blog however, I am restless and often wish I had a less conventional watch. From time to time, I poke around watchbuys.com, similar to how I reminisce about ex-girlfriends and occasionally look through their pictures on facebook. My mouse usually finds its way to the Sinn section of the site, a little known but well respected German watch maker, and specifically the U2 EZM 5 divers watch. 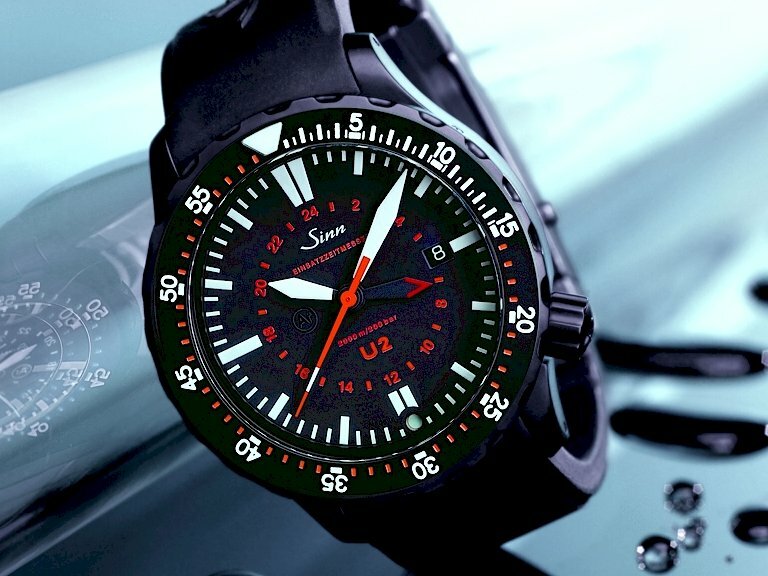 Sinn watches are crafted from the same scratch, magnetic, and corrosive resistant steel used by Emden GmbH (a leading provider of steal for military applications) to create the outer hulls of German submarines. The steel used for the U2 EZM 5 is rated to 2000 Hardness Vickers (a metric form measuring hardness), nine times harder than the 200-240 HV steel used on most diving watches. In addition to sturdier bezel and body construction, the U2 also boasts a pressure resistant, Argon lubricated Swiss movement that functions between -45 to 80 degrees Celsius. This all means that a U2 EZM 5 will keep the H2O out below 2000 meters, 6.6 times deeper than my Rolex Submariner. The exclusive, excessively rugged and rarely necessary (being a mile underwater) U2 EZM 5 is near perfect lifestyle watch. Eventually I would love to have a watch like it. 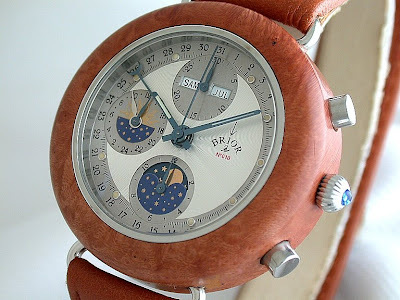 Poking around watchbuys.com, a German and Swiss watch distributor, I stumbled across this Brior's Tarlo Chronograph Briar Wooded watch. 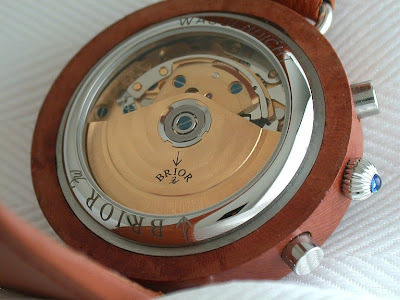 I feel that this watch wouldn't last more than a week on my wrist, but I love the idea and the craftsmanship. Watchbuys.com has some great watches from lesser known, but quality manufacturers. Happy Thanksgiving.